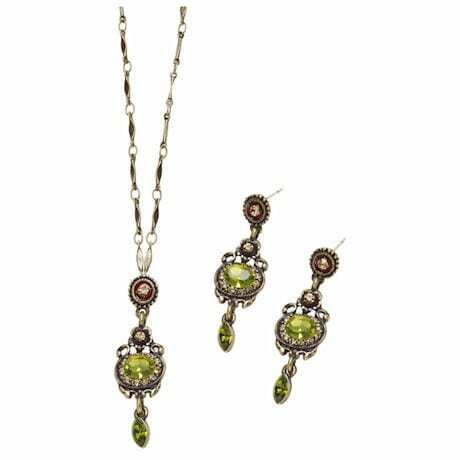 Apple-green oval and teardrop Swarovski crystals sparkle among clear crystals in elaborate settings inspired by Victorian jewelry. Silvery beads, flowers, and other adornments are accented with red enamel. Necklace (XB4546 - sold separately) is a 1 ¾" pendant on a 17" antiqued gold chain. Post earrings (XB4556) hang 1 ¾".